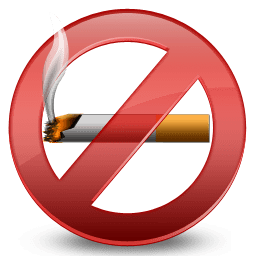 A quit smoking calculator will most definitely tally the money you will be saving by calculating how many cigarettes you used to smoke, each day. In addition to being a financial calculator, some quit smoking calculators ask you to enter the price you paid per pack, when you quit smoking (age, date, year) and how much you smoked per day, prior to quitting. The calculation will be the money you saved to date, in addition to future savings, if the money was invested at a certain percentage. Some sites will also provide you with a space to write the challenges you faced and how you overcame them. 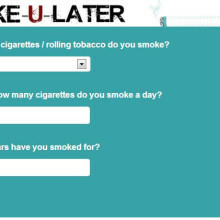 Why would you bother using a quit smoking calculator? Seeing dollar signs increase with each cigarette you don’t smoke is enough incentive to keep a person on track. According to research that has been conducted, each cigarette that an individual smokes will shorten their life by 10 minutes. We are all aware of the damage that cigarette smoking can cause, yet individuals still choose to smoke (although they desire to quit). A smoker has fallen into the trap of “social pressure to light up” for the first time, without knowing the consequences, and the intense hold that it may have on them for years to come. Quit smoking calculators are simple to use, and many are free, as the makers just want to help people stay on track and keep their commitment to live a smoke-free life. Usually, there is nothing to “download”, so your computer will be safe from any virus or malware that may work its way into your computer system. Many smokers admit to smoking a pack a day, but this figure is probably more. These quick calculations will tell you how much you are spending (based on one pack per day, priced at $10 per pack). Even if you cut back on your habit, this is still a huge chunk of change that I’m sure you would love tohave in your bank account for a dream vacation, an automobile purchase or a much needed home improvement. The truth is you are paying the tobacco companies to slowly kill you, and a quit smoking calculator can help you avoid future physical suffering for yourself, and mental anguish for your family.